У статті здійснено обґрунтування необхідності розробки та впровадження державної програми розвитку агропромислового комплексу України. Зокрема, виокремлено перспективи розвитку агропромислового комплексу України. Підкреслено, що вони залежать від ефективності державної підтримки сільського господарства та від динаміки адаптації вітчизняного агропромислового комплексу до умов Світової торговельної організації. Охарактеризовано сучасні проблеми сільського господарства України: істотне технічне і технологічне відставання сільськогосподарського виробництва України від провідних країн світу; недосконалість ринку сільськогосподарської продукції, сировини і продовольства та жорсткі умови для здійснення взаємної торгівлі, встановлені Світовою організацією торгівлі. Обґрунтовано необхідність формування та реалізації державної програми адаптації агропромислового комплексу України до вимог Світової торговельної організації. Ключові слова: державна програма; розвиток агропромислового комплексу; аграрна сфера економіки; адаптація. 1. Голомша Н. Є. Конкурентоспроможність сільського господарства України: можливості та фактори зростання / Н. Є. Голомша // Науково-виробничий журнал: Інноваційна економіка. – Тернопіль, 2010. – № 4. – С. 67−71. 2. Іртищева І. О. Побудова інноваційних моделей регіональної агропродовольчої сфери на інтеграційній основі / І. О. Ітищева // Економіка АПК. − 2009. − № 9. − С. 39−43. 3. Лаврук О. В. Мотиваційний механізм управління виробничими витратами сільськогосподарських підприємств / О. В. Лаврук // Економіка АПК. – 2011. – № 2. – С. 82. 4. Шебаніна О. В. Інвестиційно-інноваційна діяльність в АПК: сутність, проблеми та основні напрямки їх вирішення / О. В. Шебаніна, О. В. Короткова, І. О. Піюренко // Вiсник аграрної науки Причорномор’я. – 2008. – Випуск 4(47). – С. 11−18. Problem setting. Despite limited development of modern types of production, agriculture almost provided sufficient restoration of volumes agricultural products during recent years. But it should be noted that agriculture not fully overcame consequences of reforms and crisis of previous years. The most part of the agricultural organizations uses obsolete and worn-out production capacities with a weak productivity and power consumption. All this emphasizes the need of the state support of development of agro-industrial complex. Recent research and publication analysis. Many authors devoted the scientific works to the problems of agro-industrial complex development. However the prospective of implementation of the effective state programs focused on its development still remains opened. Paper objective. The purpose of article is justification of need of development and deployment of the state program of development of agro-industrial complex of Ukraine. Paper main body. The justification of need of development and deployment of the state program of development of agro-industrial complex of Ukraine is given in the article. In particular, the prospects of development of agro-industrial complex of Ukraine are marked out. The modern problems of agriculture of Ukraine are characterized. The need of formation and implementation of the state program of adaptation of agro-industrial complex of Ukraine to requirements of the World Trade Organization is proved. 1. The prospects of development of agro-industrial complex of Ukraine are marked out. It is emphasized that they depend on efficiency of the state support of agriculture and on dynamics of adaptation of domestic agro-industrial complex to the World Trade Organization conditions. 2. The following modern problems of agriculture of Ukraine are characterized: significant technical and technological lag of agricultural production of Ukraine from the leading countries of the world; imperfection of the market of agricultural products, raw materials and food and the severe conditions for implementation of mutual trade established by the World Trade Organization. 3. The need of formation and implementation of the state program of adaptation of agro-industrial complex of Ukraine to requirements of the World Trade Organization is proved. Keywords: State program; agro-industrial complex development; agrarian sphere of economy; adaptation. 1. Golomsha, N. Ye. (2010) Konkurentospromozhnist silskogo gospodarstva Ukrayiny: mozhlyvosti ta faktory zrostannya [Competitiveness of agriculture of Ukraine: opportunities and factors of growth], Innovative Economics, vol. 4, pp. 67−71. 2. Irtyshheva, I. O. (2009). Pobudova innovacijnyh modelej regionalnoyi agroprodovolchoyi sfery na integracijnij osnovi [Creation of innovative models of the regional agrofood sphere on an integration basis], Economy of agro-industrial complex, vol. 9, pp. 39−43. 3. Lavruk, O. V. (2011). 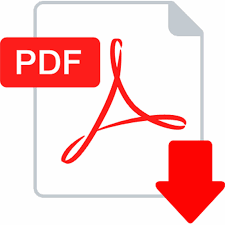 Motyvacijnyj mexanizm upravlinnya vyrobnychymy vytratamy silskogospodarskyh pidpryemstv [Motivational mechanism of management of production expenses of the agricultural enterprises], Economy of agro-industrial complex, vol. 2, p.82. 4. Shebanina, O. V. (2008). Investycijno-innovacijna diyalnist` v APK: sutnist, problemy ta osnovni napryamky yih vyrishennya [Investment and innovative activity in agro-industrial complex: essence, problems and main directions of their decision], Visnyk agrarnoyi nauky Prychornomorya, vol. 4(47), pp. 11−18.